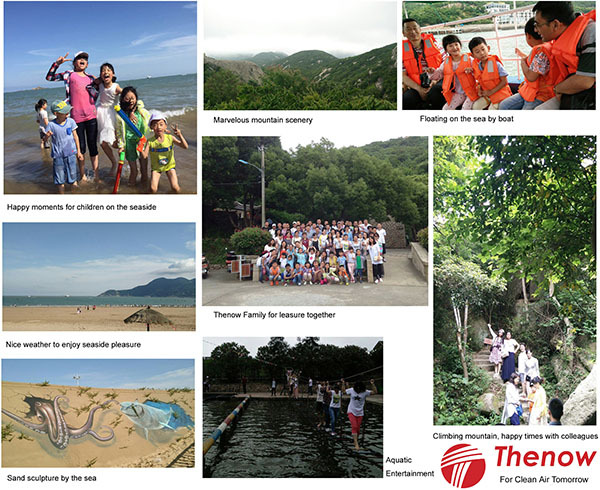 Last weekend our company organised a tour to a seaside scenery spot where it`s 4.5 hours away from Shanghai. There are about seventy person together including employees` families. In the second day, it`s a little cloudy. Cool weather is very suitable to climb a mountain. Bai Mountain is famous for its strange stones. It`s said that this island was under the sea before. We pass some very thin passages one by one. Finally standing at the mountain top, it`s really a nice viewpoint to look down at the valley and far along the sea. After the two days vacation, most colleagues feel refreshed. Children feel very excited and begin to look forward to tourism next year.